This book is designed as a guide for the practitioner interested in taking the Bio-medicine portion of the North American NCCAOM exam. 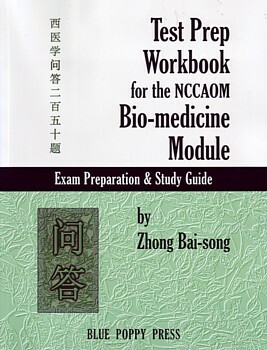 The NCCAOM Bio-medicine module is made up of 50 questions divided into three sections and this book is modelled after this exam, containing questions from each of the three categories. The book is divided into five tests containing 50 questions each. Each test includes an answer sheet, answer key and detailed explanations for most questions. Practitioners not interested in taking the Bio-medicine portion of the NCCAOM exam may also find the information contained in this book useful in their everyday clinical practice, and students elsewhere may find this guide as a useful preparation for general examinations.